Suicidal events and episodes are very deadly to most who suffer from debilitating forms of depression, and generate great sums of money loss and are an economic burden on society. Since suicidal events and episodes can generate from a long list of causes including social, cognitive, behavioral, physical and possibly genetic categories, targeted forms of therapy can be subjectively established. As a result, different types of inhibitory approaches and measures are indispensable for improving the therapeutic outcomes for this undesired circumstance. 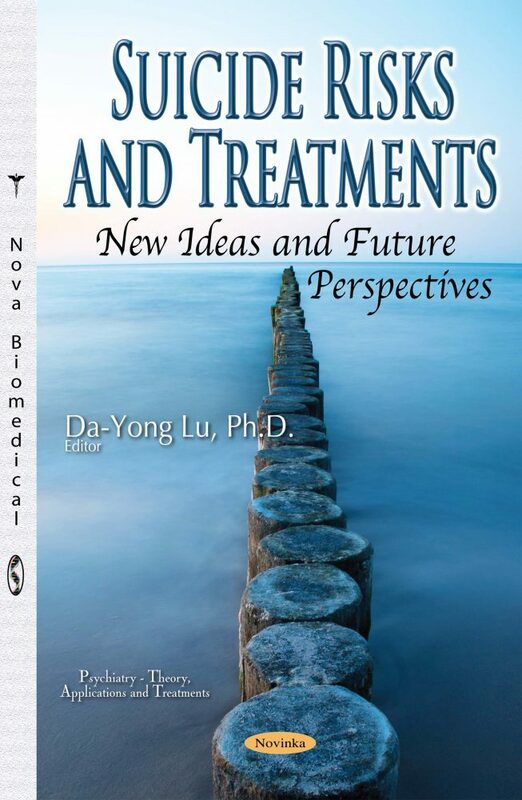 This book encompasses ideas, scientific discoveries, and pharmaceutical breakthroughs to help combat suicide. It contains topics of historical aspects concerning progress in trying to end suicide; different categories of environmental factors affecting suicidal occurrences; predictive and diagnostic improvements with modern state-of-the-art technology; pathogenic processes of suicide; and a future perspective overall of suicide studies. The author has taken novel initiatives that will be addressed and highlighted within the text. Finally, the author hopes this publication will shed new light on a global scale of the horrible effects suicide can have, and the steps being taken to prevent it. First attention come from the accidence of children suicides by antidepressant utilities. Many governmental regulation bodies pay special attention to this matter. Thus, my interests were arisen.